Bonjour à vous tous! Des salutations chaleureuses du Québec et du Canada. A todos ustedes, hermanos en la fe, un saludo afectuoso. It is a great joy for me to be with you today, as Archbishop of Quebec, the cradle of the Catholic Church in North America, north of the Spanish Colonies. For over 400 years, the Gospel has been proclaimed in our great land. When Blessed François de Laval, our first Bishop was appointed to the Diocese of Quebec, it was probably one of the largest Diocese in the world, covering most of North America, except Mexico and the Spanish Colonies, stretching from the ice covered lands of northern Canada down to Louisiana, from Oregon to Nova Scotia. Some great men and women came to la Nouvelle France, missionaries filled with the Love of God and a powerful mission to accomplish: to evangelize and build a new world. And since then, thousands of missionaries have bent sent all over the world to share the Good News of Jesus Christ. Today, our country is in great need of missionaries for the urgent mission of new evangelization. Next year, 2014, will be a Jubilee Year for the Diocese of Quebec. We will be celebrating the 350th anniversary of the creation of the first parish in Canada, Notre?Dame de Québec, which is still today a parish and our cathedral. Bishop François de Laval founded this parish under the patronage of Our Lady of the Immaculate Conception, almost two centuries before the Dogma was officially declared by the Church. 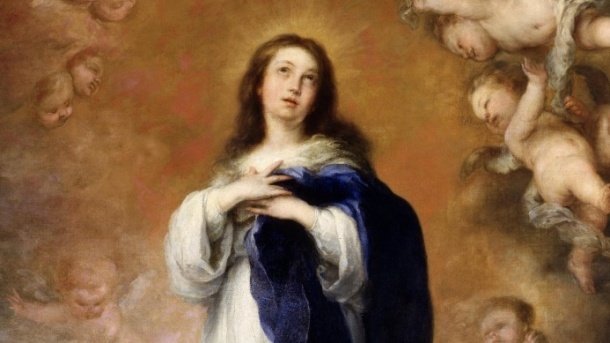 And the Jesuits, who were there before him, facing important challenges in the evangelization of the New World and numerous obstacles, had made a vow on December 8th 1635, to build a church to honor God under the patronage of the Immaculate Conception. 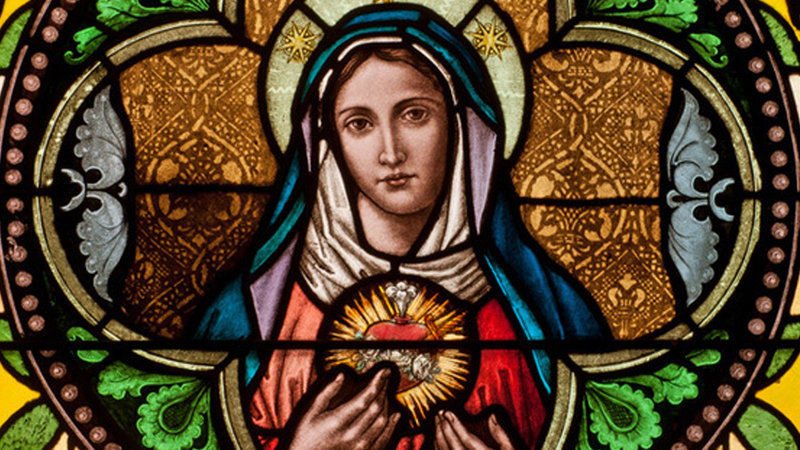 How we need our Blessed Mother’s intercession to continue that mission ! Today, at the initiative of our Worthy Supreme Knight, we inaugurate the 16th prayer program of the Knights of Columbus, conducted using a sacred image as its centerpiece. In 1979, the first such program was begun with images of Our Lady of Guadalupe, patroness of the Americas. In preparation for the 1982 Centennial of the Order, the second prayer program was initiated, which also highlighted the Immaculate Conception. Over the years, the Blessed Mother has also been honored by her Knights under her titles of Our Lady of Perpetual Help, Our Lady of Czestochowa, Our Lady of Pochaiv, Our Lady of the Assumption, Our Lady of the Rosary and Our Lady of Charity. These Orderwide programs of Marian Prayer have gathered together more than 16 million people at some 140,000 prayer services conducted at local councils and parishes. We now launch another the Knights of Columbus Marian Prayer Program, this time dedicated to Our Lady of the Immaculate Conception. The image that is before us today is a reproduction of the painting that embellishes the Basilica Cathedral Notre?Dame de Québec, above the main altar, a colorful painting of Our Lady, the work of Sister Marie de l’Eucharistie, a Sister of Charity of Québec. May Our Lady accompany our Church and all the members of our Order all over the world. Like her, we want to be open to the Holy Spirit and available to accomplish God’s plan in today’s world. And following Our Lady’s example, we want to leave with haste as she did, to share the Good News of the Gospel to a world that needs the Hope and the Truth and the Love of Jesus Christ. As we initiate this new edition of the Marian Prayer Program, allow me to invite you to seriously consider visiting Quebec sometime in 2014 for a pilgrimage that could change your life. Come with your family, your parish, your councils and assemblies, your diocese. Come to the beautiful city of Quebec and let the Lord renew your faith and send you as disciples and missionaries to a world that needs you, to a world that awaits the Good News of Salvation that can only come from Jesus Christ. And to tell you all the truth, in Quebec, we also need you, we need to witness the dynamic faith and the love in action that portrays you Brother Knights so well. Many of you have told me how much you love Quebec. Well, we need a lot of love at this moment of our history. Come North to where it is cooler! As we inaugurate this new Marian Prayer Program, may Our Lady of the Immaculate Conception, patroness of the Diocese of Quebec, our Mother and the Mother of the Church, the star of New Evangelization, lead us to her Son, Jesus Christ, the Savior of the World.